At this time I am focusing my attention on members in my course, so the best option is to check out my Ring Road eBook or my Iceland Planning Course – designed to answer all of your questions and make trip planning a breeze! If you still want to be notified when I re-open this service, you can join the waiting list. 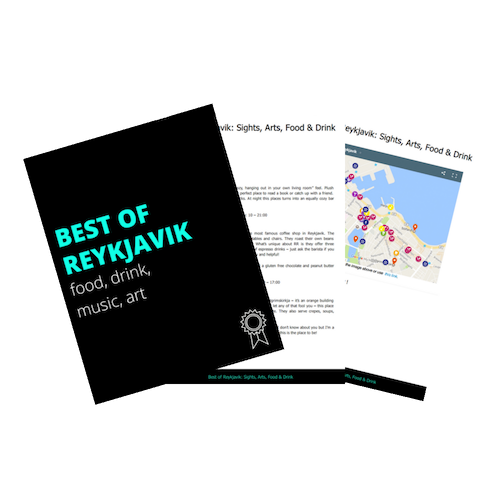 Experience Iceland like a local! A completely personalized vacation – visiting not only the main attractions but also my favorite hidden gems! I understand the importance of having a seamless vacation. More importantly, one that fits your personality. I offer customized trips for all ages and group sizes. That means I don’t just copy and paste itineraries. No cookie cutter vacations here! I get to know you and your travel style, and then I create your dream vacation. You get a stress free trip tailored to your personality. It’s that simple! Personalized trips – from a local! What could be better? You’re overwhelmed with the number of options available in Iceland. You want to enjoy an amazing vacation without having to worry about the stress of researching. You know there’s so much to see, but don’t know how to fit it in with the time you have. You’re looking for a personalized vacation – not just another cookie-cutter tour. You like getting inside tips from a local about hidden gems. You want a simple itinerary to follow. When you choose this option, you will be charged the $40 initial down payment. You will immediately receive an email with a questionnaire about your travel style. Once you submit the questionnaire, I will send you a PayPal invoice for the remaining balance based on the number of days you would like your trip planned for ($40 per day). Then I get right to work on planning your best trip ever! After the planning is completed (allow 2-4 weeks for processing), I will send you your custom itinerary, personalized map, and any other helpful documents you would need to make your vacation seamless! Then we set up a time to video chat to go through any last questions you have about your personalized plan. Accommodation recommendations, restaurant suggestions, and information on guided tours. Easy to use – print it out or download it to your phone or tablet to use on your trip! Because each trip is personalized, I will only be able to spend time on a few trips. If you are considering this option, reserve your spot now! Your daily itinerary and documents will be delivered to your email in PDF format. From there you will be able to print it or download it to your computer, tablet, or phone to take it with you on the go! Map: You must download Google Maps to be able to access the interactive map. Instructions for accessing the map will be included. **Five day MINIMUM – due to demand, planning itineraries shorter than 5 days will not be accepted. This service is charged per day. For $40 per day, I will create the perfect daily itinerary for you. Whether it’s a stopover, long weekend, or two-week trip, I’m happy to help with whatever you need! Due to scheduling conflicts and limited availability, I do not book airfare, rental cars, or hotels for you. Upon request, I will provide a list of recommended accommodation based on your preferences. Think of me as an expert at finding you the perfect spots based on my extensive knowledge of Iceland, combined with your desires and travel preferences! The information and images in this package may not be copied or shared in whole or in part. All photos included are my own, and all suggestions have been personally tested and loved! Not sure if a custom itinerary is right for you? If you are not satisfied with your custom planned trip, I will happily give you a full refund. I’m so confident in the contents of this package, and I want you to have an amazing trip to Iceland – risk-free! Jeannie helped us plan our November 2018 Iceland trip. We had an amazing time. Iceland is beautiful. Key highlights. Hotel Ranga was awesome. Northern lights spectacular. Ice caves, black diamond beach, and glacier lagoon out of this world. Where to begin, this has been the most helpful thing I’ve ever done when planning my trip to Iceland. Jeannie was nothing but incredible in helping me plan my custom itinerary to Iceland. When me and my friend were starting to plan for this trip we were very stressed out on how much we can fit in a day, were we putting to many things to do in a day or too little, it was becoming incredibly overwhelming. We then found Jeannie on youtube and saw that she did custom itineraries. Jeannie took all that stress out for us and helped us plan the most incredible trip ever!! It was amazing to have someone plan the trip that knew how much we can do in a day. The google maps was super fun to have to see where everything was on the map and to track all the places we were to be going to see. In the itinerary there were known sites and hidden sights which was a lot of fun of going to see places in Iceland that not a lot of people go see either. Highly recommend the custom itinerary, do it, you will not regret it one bit!! Thank you so much Jeannie!! We had an amazing trip thanks for Jeannie’s custom itinerary. Planning a trip to Iceland seemed overwhelming but Jeannie took the stress out of it for us. The planning process was smooth, she was so helpful when we had questions, and her tips were priceless. She had so many helpful hints, places to eat, etc and we loved all of them. The custom google map was great too since we were able to track noteworthy places along the drive – we wouldn’t have known to stop at those places. We ended up tweaking the itinerary a bit, but we liked that we had a framework to work from. Overall, highly recommend the custom itinerary! Having Jeannie make an itinerary was super helpful in planning our three day stopover – which isn’t that much time so it was nice to have someone who knew what was feasible to see & do in a day! The Google map was the icing on the cake – so super easy to use! Thanks again Jeannie!! If you’re on the fence about whether you need this, I hope you take the step! Jeannie’s itinerary was an amazing resource, flagged off the beaten path breathtaking locations and helped sequence our trip! For example, we knew we wanted to do a handful of things on a certain day but the order of what to do them in was challenging. Jeannie helped with all that! The Google maps and little tips that she drops in the itinerary are so valuable. We are thinking of going back to Iceland to see the north and western part of the country and I’ll be (hopefully) working with Jeannie again on that itinerary! 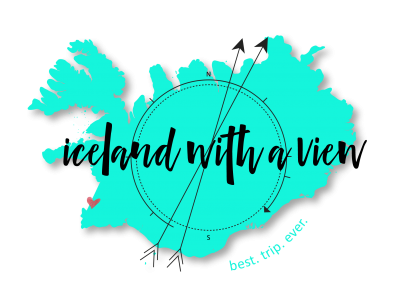 Jeannie’s Iceland trip planning service was smooth, professional and worth every penny (or Krona) spent. Be sure to open and understand the customized Google Map that Jeannie develops for you. It’s a gold mine of information about your customized Iceland itinerary – there are comments and pictures of the destinations that Jeannie picks for you AND that’s where you find the insider tips about finding those lesser known places of beauty (aptly called “Jeannie’s gems”). The one-on-one FaceTime call is also a really nice touch to address any lingering questions you have – and she did a great job answer those last minute questions as well. I’m so happy that I found Jeannie’s YouTube channel and used her travel planning service – I now have an amazing and detailed itinerary with a handy customized Google Map and didn’t have to stress about it one bit. I was overwhelmed planning, even with a year to do it and was really unsure of how much you can pack into a day, especially during winter months. Jeannie put together an itinerary based on our preferences and we followed it pretty closely. In our call we discussed what our schedule should be and that was a real help. Her restaurants met our dietary needs and really took a lot of anxiety out of things. We had a great time and saw some things I didn’t read about in any of my other research. Jeannie’s planning added so much value to our trip. Her additional information on Iceland regarding the people, money, shopping, gas stations, food etc was priceless. Thank you. Thank you Jeanine for planning our itinerary with our input. We had a fabulous time in Iceland. Yes Iceland is expensive but with your advice I feel we got the best value and didn’t waste any money. Being able to FaceTime with questions was most reassuring. Thanks again. No way we could have done this trip without Jeannie’s help! Planning everything by ourselves was getting to be overwhelming – but then we found Jeannie and with her help, had the trip of a lifetime! It was worth every dollar we spent. We loved the “secret spots” she gave us and the whole flow of pace of the trip was perfect. She made everything easy and not just the sightseeing. She gave us so much great information about traveling in iceland from the culture to the finances, and so on. We saw the Northern Lights 4 TIMES – and have some incredible pictures and memories to share with our family and friends. We can’t thank you enough and hope to come back to visit again soon! Best thing I did… number 1 thing you need… is a personalized itinerary from Jeannie. From the moment she sent a personalied questionnaire, I knew I made the right decision. She makes changes instantly … whether you disagree with her selection or you experience a flight delay like myself. Her communication is so reliable. It’s like have a local friend. The google maps application (paired with portable WiFi) is a absolutely must to make the most of your trip without wasting time. I love her “PRO TIPS” … so many times we avoided the overwhelming tourist population but following her tips. I love how she even rates each experience. She is amazing and is is phenomenal at her job. Worth every single penny and highly recommend… I’ll contact you when I’m ready for the North and Westfjords. I was trying to plan my first trip to Iceland and felt overwhelmed by all of the places I wanted to see and how I would fit them into my six-day trip. Thank goodness I found Jeannie and Live Life With a View! The Google Map that she created for us was so thorough and useful during each day of the trip. I would recommend working with Jeannie for the map alone! It was such a fantastic tool and she included some “secret” spots that were my favorites during the trip. Her fees are incredibly reasonable for the amount of information she provides. Thank you, Jeannie, for helping to make our first trip to Iceland so memorable! After we booked our tickets to Iceland, we bought a house and got engaged. Needless to say we had very little time to plan. We used Jeannie to get the most out of our trip of 10 days on the Ring Road. She created a Google Map with all the sites, and even rated them! We were on the move from sun up to sun down every day (late fall) and saw all the sites of the Golden Circle, Ring Road, Snæfellsnes, and even off the Ring Road to the north! She also kept everything within our budget! Even if you do have the time to plan, Jeannie is a necessity to get the most out of your trip!